I l o v e avocado! So today I decides to have a healthy avocado toast with pistachio for lunch. Plus, it’s super easy to make! Cut the avocado in 2 and carve slices in the avocado (a little hard to explain this). Spoon it out carefully. Rinse and cut some spring onions – we will use this as a garnish. Peel the pistachio nuts and break them into smaller bits with the back of a knife. Sprinkle some olive oil on your bread and toast it until it’s golden brown. Break the eggs and whisk them together with some milk and turn them into delicious scrambled eggs. Place the bread onto a plate and layer it with the scrambled eggs and avocado. 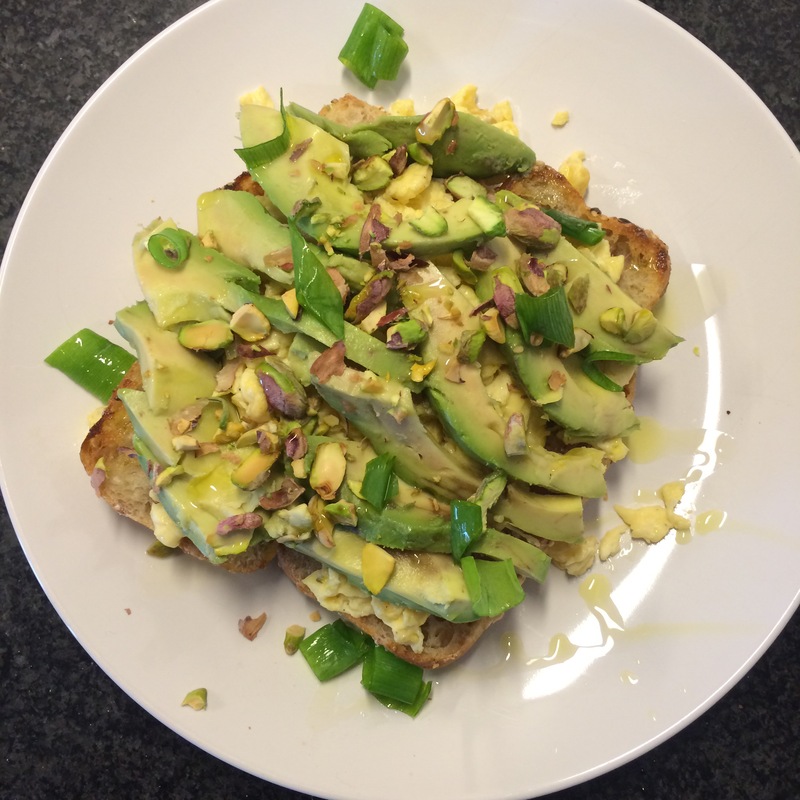 Add some salt and pepper, sprinkle the pistachio nuts over the toast and finish with some olive oil and spring onions. Are you going to give this easy and healthy recipe a try? Share it on Instagram and tag me @fromlillywithlove or post it in the comment section below!